Richard is a native of Pensacola, Florida and attended the International Baccalaureate program at Pensacola High School. Upon graduation, Richard attended Rollins College in Winter Park, Florida. He was enrolled in the honors degree program at Rollins and completed a senior thesis titled “It Is So Ordered: Judicial Activism on the Supreme Court” in which he studied how the Court has directly shaped law and policy over the last seventy years. Richard earned an Honors Bachelor of Arts degree majoring in Political Science and minors in pre-law and communications. After gradation from Rollins, Richard took a position with the nation’s largest home developer, gaining an extensive background in real estate and development. Richard later enrolled in graduate school after a seven year real estate career. He attended the Cumberland School of Law at Samford University in Birmingham, Alabama. While in law school Richard was a member of the national moot court team. He also received the book award in Appellate Advocacy and was the Scholar of Merit in Legal Process. Richard interned at the St. Clair County District Attorney’s Office where he tried numerous jury and bench trials under his Alabama 3L practice certification. Richard opened his own law office in Pensacola after law school. His practice focused on Real Estate, Criminal, and Family Law. 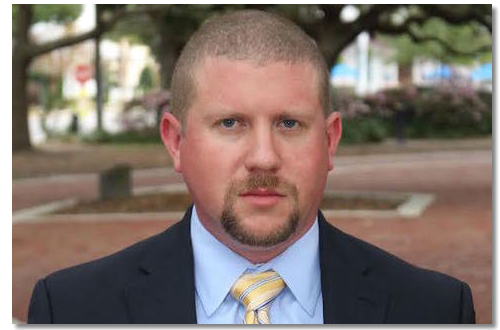 In November of 2015, Richard joined Luther, Collier, Hodges, & Cash as an associate in the firm’s Pensacola office. Richard is a member of the Florida Bar Association, the American Bar Association, and the Escambia/ Santa Rosa Bar Association. In his free time, Richard enjoys fishing, golfing, boating, and spending time with his friends and family in the area.